Here’s another one for the books. When things like this happen, I have to wonder, is there a conspiracy of coincidences? Last night I saw the movie The Martian. I liked it, but this post is not about potatoes and slingshots (you’ll have to see the movie). It’s about what happened later, in a sequence of events leading up to tonight. After the movie last night, I did some of the usual post-movie internet surfing and landed on the odd story of Tallulah Bankhead. Her best film performance, it was said, was in the under-rated Alfred Hitchcock film Lifeboat. So I read about Lifeboat. The story for the film was written by John Steinbeck. The film was released in 1944. So tonight I thought I’d see if I can rent Lifeboat through my cable service. Turns out I can. I watched the trailer. In the brief clip viewers are meant to notice that the guy who’s appointed himself in charge is a “Mr. Rittenhouse.” One guy remarks to another, with sarcasm, that he should call Mr Rittenhouse “Rit.” Not too remarkable. So far. As often happens, I clicked some more, looking for other classic movies. In less than a minute I came across the Randolph Scott movie Shoot-Out at Medicine Bend. This caught my attention because it features Scott and two other actors I like: James Garner (of “The Rockford Files”) and Angie Dickinson (you know, “Police Woman”). So I played the two-minute trailer for Shoot-Out at Medicine Bend. The clip doesn’t reveal much of the story line. Randolph Scott is Captain Buck Devlin, recently mustered out of the cavalry. Sgt. John Maitland (played by James Garner) appears to be his sidekick. Devlin rides out of a small town heading west, with plans to return. M aitland stays behind for the time being. What are the chances that within two minutes of each other, I’d see brief clips of two completely unrelated movies, where in both a “Mr. Rittenhouse” is addressed by another character? Will the Movie “13 Hours” Undermine Hillary Clinton’s Credibility about Benghazi? In less than ten days the movie “13 Hours: The Secret Soldiers of Benghazi” will be released. There’s chatter that this will lend credence to the already credible claim that Hillary Clinton is not an admirably honest person. With the Pope’s visit to the U.S. this week, now is a good time to add a few choice items to your reading list. Pope Francis is from Argentina, a country in crisis. That includes economic crisis. For background to the history of capitalism and free enterprise in Argentina, have a look at The Crisis of Argentine Capitalism, by Paul H. Lewis. Argentina once boasted a vital economy. Today it struggles under a regime that has frittered away the capital of a storied nation and crippled economic opportunity among the rank and file. Lewis documents the history of this condition and explains the unique story of economic decline in Argentina. In the same vein is Vito Tanzi’s informed on-the-ground account in Argentina: An Economic Chronicle—How One of the Richest Countries in the World Lost Its Wealth. Tanzi, an Italian, spent three decades working in various roles for the International Monetary Fund. For those seeking a travelogue, Bruce Chatwin’s In Patagonia is the celebrated gold standard. Condé Nast, a travel journal, ranks it among “The 86 Greatest Travel Books of All Time”. The London newspaper Telegraph includes it among “The 20 Best Travel Books of All Time”. William Dalrymple, writing for The Guardian, proclaims it his favorite book in the category of travel literature. He judges that it is probably the most influential travelogue since World War II. Many have forgotten, or never knew, that Nazi war criminals found safe have in Argentina under Juan Perón. Uki Goñi narrates this story in his book The Real Odessa: How Perón Brought the Nazi War Criminals to Argentina. He documents collaboration between Perón and the Vatican. Kenneth Maxwell reviews the book in the journal Foreign Affairs. For a fuller description and evaluation of Goñi, see Richard Gott’s review in The Guardian. Gott doesn’t dispute the evidence of Catholic collusion. Altogether incidentally, one of my favorite films, Butch Cassidy and the Sundance Kid, starring Paul Newman and Robert Redford (1969), recalls the demise of these affable ruffians in a hail of bullets while hiding out in Argentina. 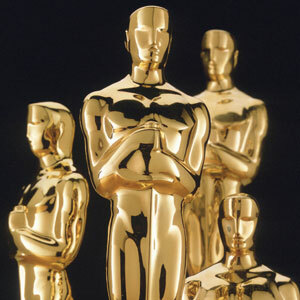 Here are two polls: (A) Which film do you think will win the award for Best Picture? and (B) which film do you think should win the award for Best Picture? You can add detail in support of your answer in the comment box for this post. Oscar Nominations are in. Here are my picks for seven categories. A short trailer for the movie Shields, featuring my daughter Erin Geivett, has just been released on the director’s Facebook page. This is Erin’s debut in a live-action role. Hope you enjoy! Lying, you might say, is serious business. Even when it comes to fiction, when we like to be lied to. But why do we like to be lied to, those of us who read fiction and pay good money to see movies? There’s a clue in the title of John Dufresne’s guide to writing fiction: The Lie That Tells a Truth. Fiction and film, at their best, package important truths in a tissue of lies. Some of these truths we already know before our fictive experience of them. Others we learn, if we trust the lies, when fiction happens to us. And often it is our capacity to trust the lie that makes us vulnerable to truths. In fact, while we read a novel, we are insane—bonkers. 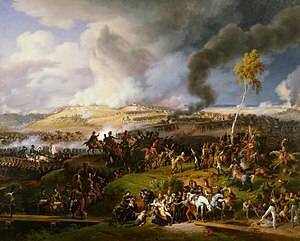 We believe in the existence of people who aren’t there, we hear their voices, we watch the battle of Borodino with them, we may even become Napolean. Sanity returns (in most cases) when the book is closed. And in the thick of our believing, we don’t want to be reminded that “it’s only a story.” We’re like the lad whose grandfather reads to him in the movie The Princess Bride. He’s not as ambivalent as he pretends. And neither are we. If it’s a really good story.